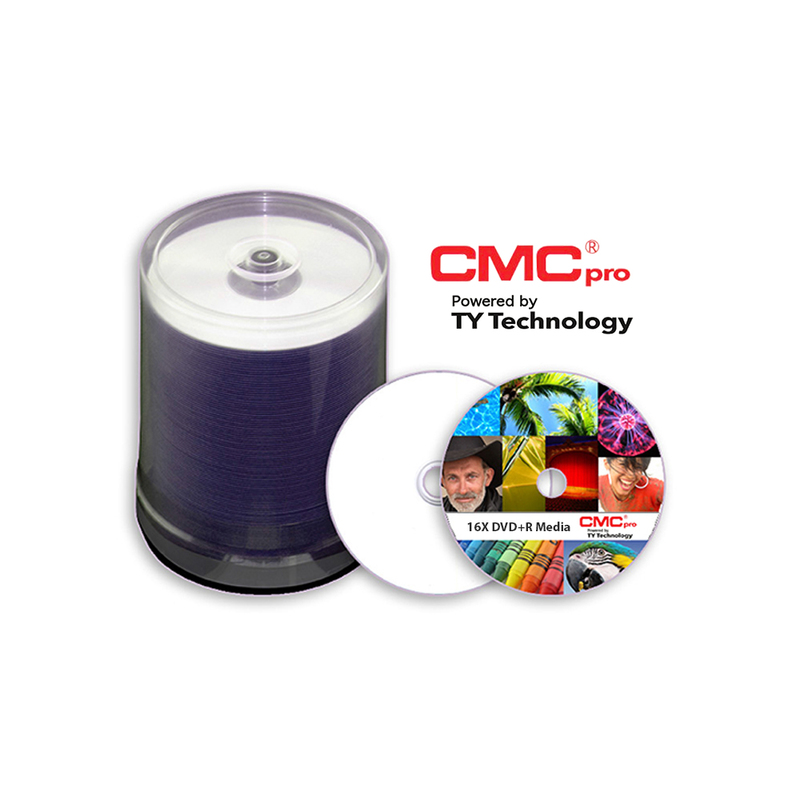 CMC Pro 8X DVD+R Professional Grade Media is available in several high quality printable surfaces. The Shiny Silver Lacquer coating is perfect for silkscreening or thermal printers and the inkjet and Everest skus are specially designed for amazing color and crystal clear print images. CMC Pro 8X DVD+R Professional Grade Media is available in several high quality printable surfaces. The Shiny Silver Lacquer coating is perfect for silkscreening or thermal printers and the inkjet printable coating is specially designed for amazing color and crystal clear print images.